Premium Martinique rum, Rhum Clément, is now available to travellers at Dubai Duty Free – another thing worth flying for! Martinique has long had the reputation of having the best terroir for sugarcane cultivation, long before Homère Clément decided to press sugarcane to produce rum. He purchased the prestigious sugar plantation, the 43 acre Domaine de l’Acajou, in 1887, to perfect his method of rum production known today as Rhum Agricole. Habitation Clément, the home of Rhum Agricole and historic birthplace of Rhum Clément, today receives many thousands of spirit enthusiasts each year who visit the distillery and taste barrel samples in the cellars. Every year, Habitation Clément releases carefully selected aged Rhum Agricole as part of their Grand Reserve portfolio. With a beautiful dark mahogany color, Clément X.O. Rhum Agricole is distilled from fresh pressed sugarcane juice and aged a minimum of six years in a combination of virgin and re-charred oak barrels, yielding an exceptional rum with a beautiful smoky aroma and lingering finish. This rum is accentuated by the intense charred wood flavors balanced by the natural sweetness of the sugarcane distillate and displays some of the finest floral notes and pure character of the Clément cellar. Rhum Clément Select Barrel is aged in oak barrels selected for their rich natural sweetness and intense aromatic qualities resulting in a magnificent aged Rhum Agricole with well-balanced sweetness. 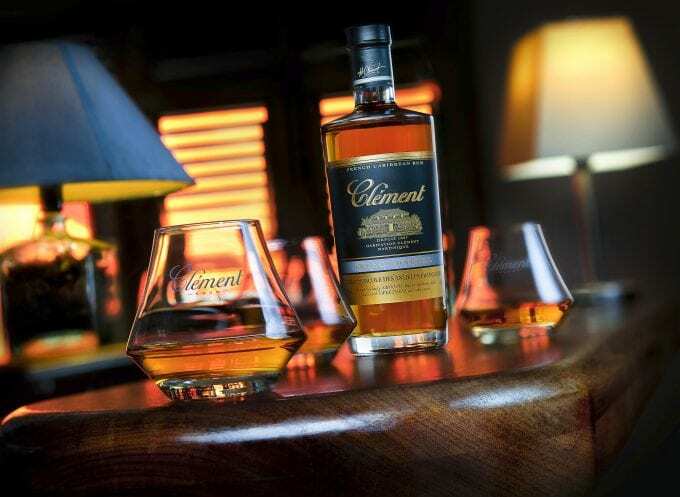 Clément Select Barrel is characterised by its soft vanilla notes and remarkable smooth finish. Clément Rhum Vieux Agricole is aged a minimum of 3 years in virgin Limousin barriques and re-charred Bourbon casks. The superb transformation of sugarcane juice matured in a unique variety of the world’s finest oak barrels gives this exceptional rum its brilliant mahogany colour, its roasted cocoa bean aroma and its illustrious smooth mellow character.